Begin your journey through a surreal world where nature, time and space intertwine. Mysterious things happen in a ruined room. Doors inside that room lead to different worlds and beautiful landscapes. 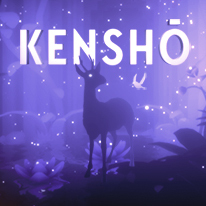 Match blocks and overcome challenges in this addictive puzzle with rich visual effects that unfolds a narrative through breathtaking places including lush jungles and stormy seas. 11 original songs accompany you on this adventure, replete with violin, piano, harmonica, accordion and more.